Jessica Rhodes is the founder and President of Entrepreneur Support Services Inc. (ESS), a virtual assistant firm offering a variety of client support and graphic design services to busy entrepreneurs. ESS is the parent company to the wildly popular podcast guest booking firm, InterviewConnections.com. Jessica is the host of the hit weekly web TV show, Interview Connections TV, where she brings expert tips and advice to podcasters and great guest experts. 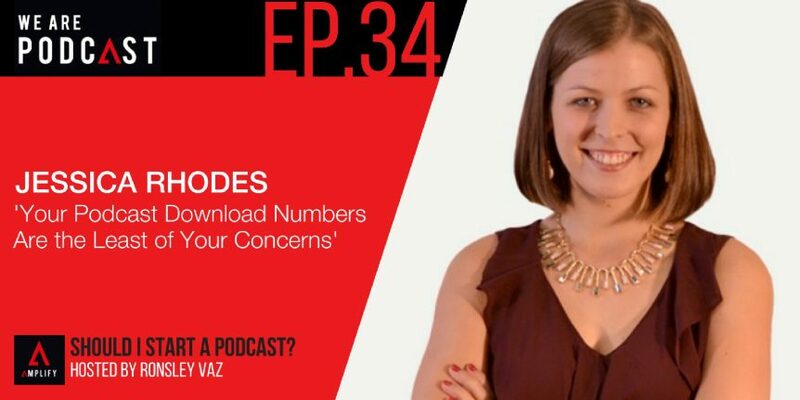 Her podcast, Rhodes to Success, publishes weekly interviews with content and relationship marketers. What Jessica Rhodes has managed to achieve as a result of having a podcast? How podcasting has changed Jessica’s life? The reason she started a podcast. Building relationships with people through podcasting. How she discovered that podcasting is an amazing way to build connections? Learning how to be a better speaker and have better conversations with people. Going back to her first interview. How she learned a lot from other people about feeling comfortable on her own show by going to conferences? How she really wanted to podcast and decided to start right away? The two types of entrepreneur. The beauty of podcasting for connecting with someone and having a great conversation. The engagement she has with her audience. The number of people who love Jessica’s show. The importance of being engaged in a topic that makes the listeners interested. How she became a much better interviewer and a better podcaster? The key to a good podcast. Getting better and better after 50 episodes. The importance of putting emphasis on engagement and connection. Keeping the show going and enjoying it. The disadvantages of creating a podcast. The importance of having faith that it’s going to work. Jessica’s weekly workflow that she would recommend. The importance of creating shows more than once a week. How she makes money out of podcasting? The importance of growing her business and how it's not just about making money? Taking the time to work hard, invest, and take risks in order to make it work and have a successful business online. Creating a really great show in making money out of podcasting. Podcasting as the number one strategy to bring in more clients. What's A Good Podcast Download Number? What are the most important things to consider in podcast download?